The law is a complicated and sometimes intimidating thing, which is why we have lawyers around to help us handle legal problems. But lawyers can, by extension, seem a little intimidating themselves: they’re the jargon-fluent experts who understand all of this complex stuff, and it’s easy to feel a little out of your depth when it comes time to find, hire, and speak to one. Never fear: here’s everything you need to know about finding and speaking to an attorney. First things first: do you need an attorney? Before you set out to find the right attorney for your needs, you need to take a closer look at what those needs are. Are you hoping to recover money after an injury in an accident that was not your fault? That’s personal injury law, of course. Trying to start a business? You might need a lawyer there, too, and you’ll want to choose a lawyer who specializes in business law and small businesses. The more specific you can be about your needs, the better you’ll be able to choose the right lawyer. You may also not be sure if you need a lawyer at all, and that’s okay — one way to find out is to call up a law office and get a consultation. Many attorneys offer free consultations, and if you don’t really need a lawyer, you’ll get that impression from your meeting. It’s better to check in with a lawyer when you don’t need one than it is to skip legal advice when you really need it! That you need an attorney — or even a specific type of attorney — is still only a very broad conclusion. You’ll want to narrow things down quite a bit and identify a specific attorney to speak to. But how can you do that? Start with the information we just gathered: the type of attorney you need. A simple internet search will give you a jumping-off point by helping you identify some prominent area lawyers that specialize in the services you need. Look at the qualifications that the attorneys show on their websites: did they go to an excellent law school? Have they won prominent cases? And what kinds of values do they emphasize on their site? Speak to friends and seek out reviews, too. While you shouldn’t rely too heavily on online reviews of lawyers, you can use multiple review sites to get a sense of things before you make an appointment. And remember: your consultation is just a first meeting. If you’re unhappy with your selection, you can make another appointment with another attorney. Once you’ve found the right attorney for your case, you’ll need to know what to bring to your consultation and how to speak to the attorney. Generally, you’ll want to emphasize the facts of your situation. 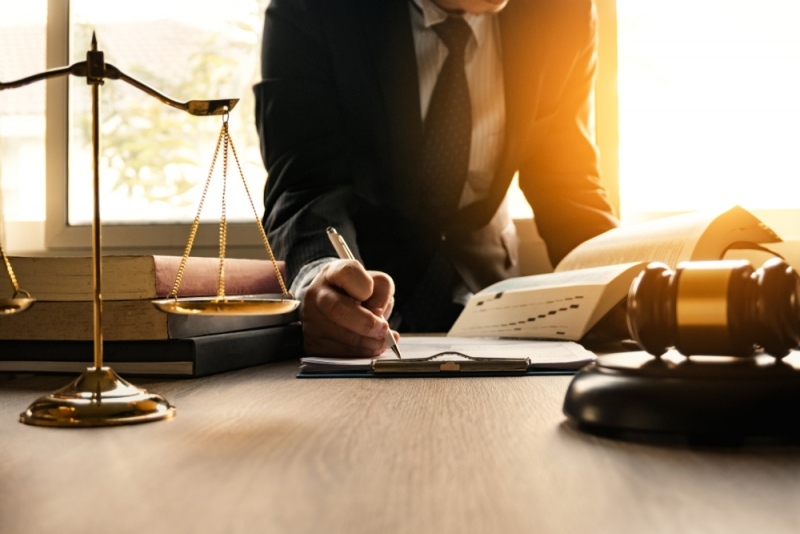 While an attorney might sympathize with your emotional connection to what’s going on, it’s unlikely to be at all relevant to the case: you need to stick to the facts. Be specific: numbers and details can matter quite a bit in legal situations. Be sure to bring materials relevant to your case or goals. When meeting with a personal injury lawyer, for instance, you’ll want to bring things like accident police reports, medical bills, and photographs. Documentation is important, and getting it in the hands of your lawyer as quickly as possible is a good idea. If you show up prepared and speak professionally about facts, you should find that your lawyer responds positively. Speaking to a lawyer doesn’t have to be intimidating — and it can often be essential to your legal and personal wellbeing.